If you live in the UK, please fill in your details and then click "next". You can review and edit your email on the next page before sending. If you live outside the UK, please click here for other actions you can take for farm animals. 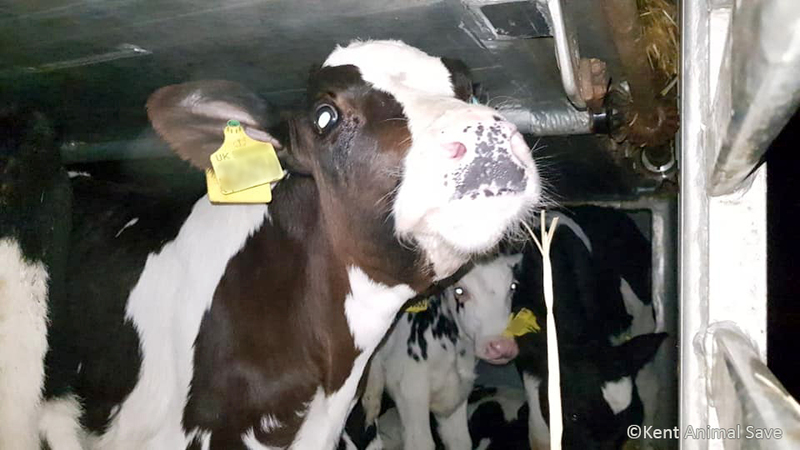 In September 2018, we welcomed news that P&O Ferries would no longer ship young Scottish calves, destined for continental Europe, across the Irish Sea. This could have been a significant step forward in the fight against UK live exports. However, on 16th October, it became clear that this cruel trade in unweaned calves had found another route. For some time, the private transport boat, Joline, has been shipping animals across the English Channel from Ramsgate in Kent. In recent years, it is principally sheep who have suffered these appalling journeys. We’ve been hopeful that a ban on exports for slaughter, being considered by the UK government, would stop the Joline for good. 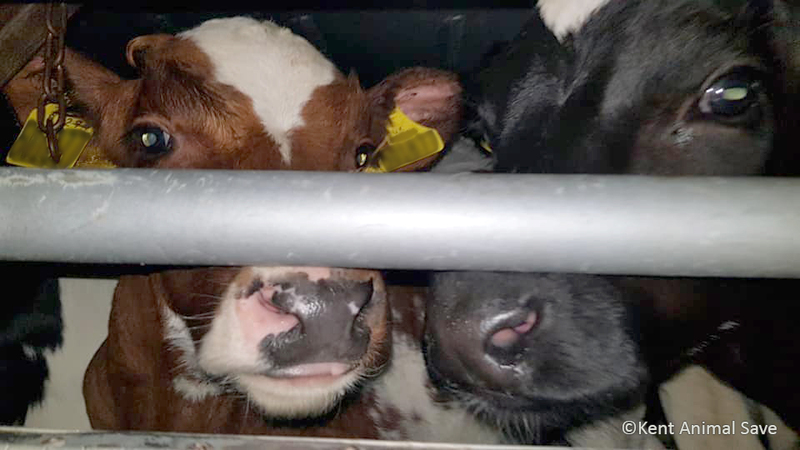 But, on the evening of 16th October, protestors from Kent Action Against Live Exports and Kent Animal Save witnessed unweaned calves, just a few weeks old, being exported from Ramsgate. The ear tags on the animals indicated that they had travelled all the way from Scottish farms. This new calf export route demonstrates the urgent need for a UK-wide ban on live exports for both slaughter and fattening. In the face of Scottish government resistance to ending live exports, thousands of Compassion supporters in Scotland have already emailed their MSPs. Now, we need to remind the government in Westminster that, without a ban on exports for slaughter AND fattening, thousands of British animals could continue to suffer every year. Please email Defra Secretary of State, Michael Gove, today. It is clear that, when one export route closes, another will pick up the trade. Nothing short of a ban will stop the cruelty of live exports for good. Please speak out for the animals today.